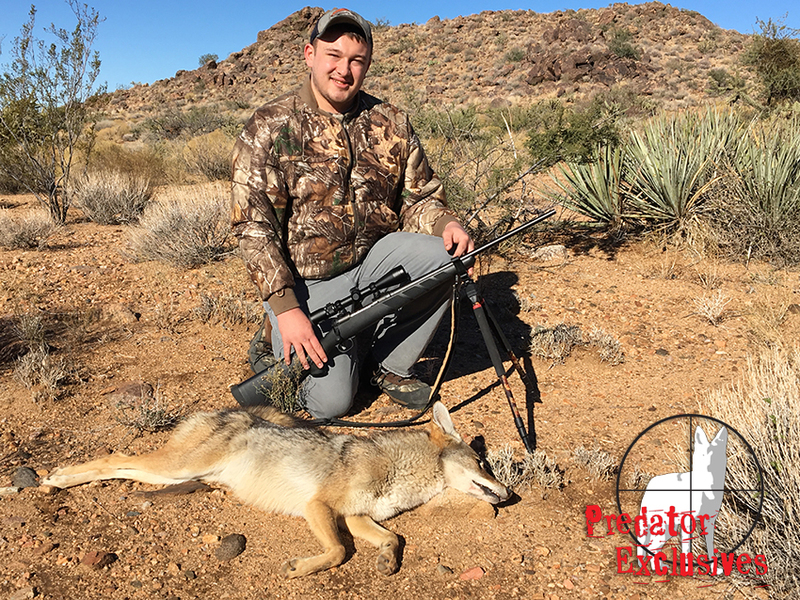 Mark & Matt from Michigan came back to Arizona this past month for another guided predator hunt with us! 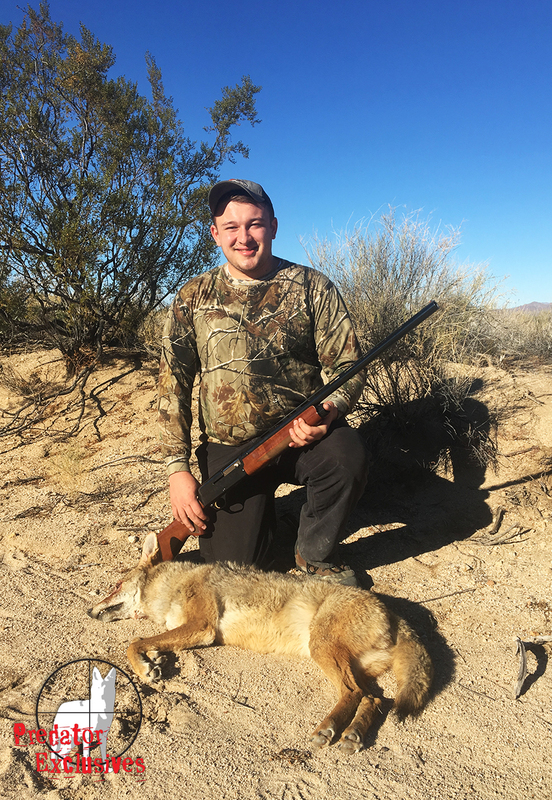 After 3 days of predator hunting in Arizona with us, they were about out of shotgun shells! 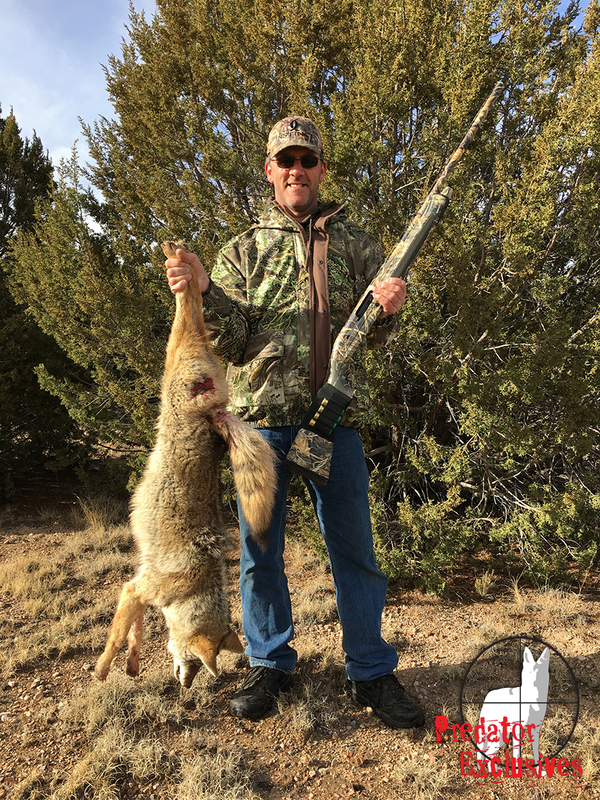 They took multiple coyotes, which was greatly needed as our deer & pronghorn herds can use all the predator control we can get! They also had 2 bobcats come to the call in one day, but managed to get out of Matt’s scope before getting a shot. We look forward to predator hunting with them again in the future! 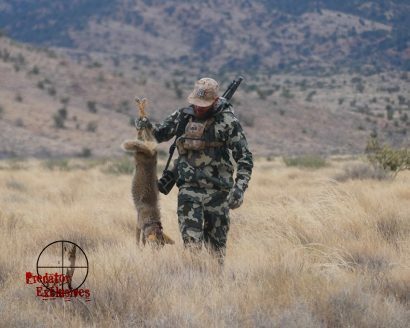 Brad & Sam came out to Arizona to hunt predators with us in October. 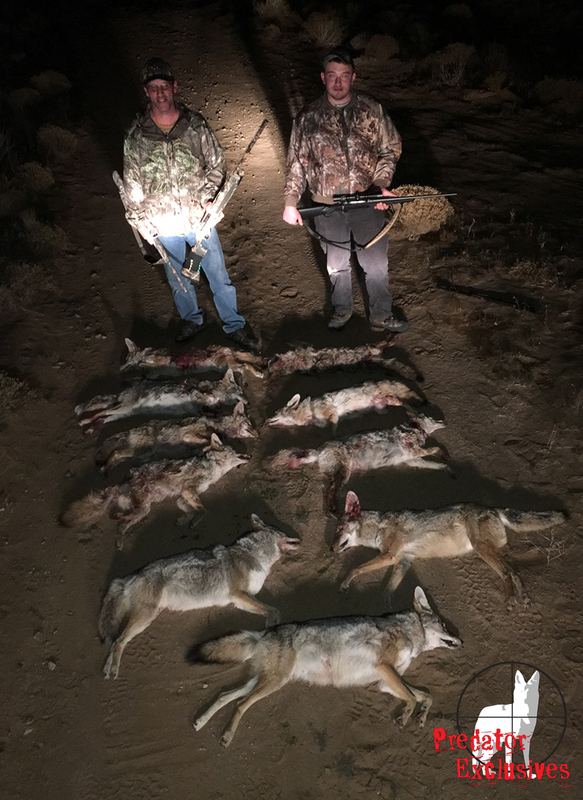 Despite being a little warm for calling predators they had a great predator hunting trip, which included 5 coyotes coming to call & 4 grey foxes! 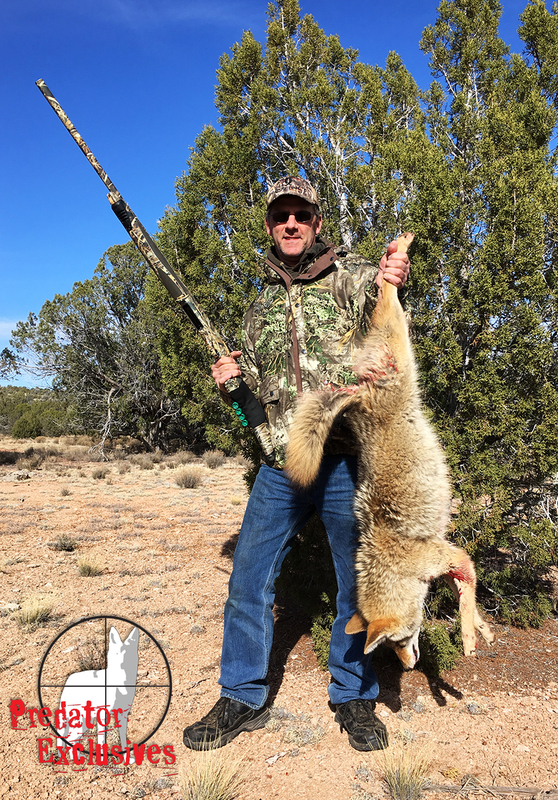 Watch as Brad takes his first Arizona Coyote! Bobcat keeps hunting the decoy! It’s amazing how focused this bobcat was on hunting our decoy even after the sound to the predator call was turned off. The first shot didn’t bother him one bit, in fact he just kept hunting! The hunter had accidentally knocked or spun his windage turret without knowing. Needless to say, we were very lucky to get multiple chances at this bobcat & Percy made one of them count. 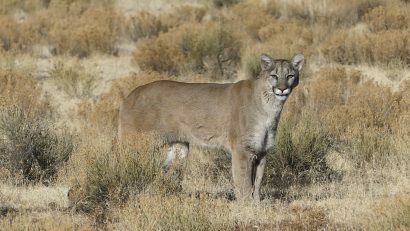 Bobcats are unreal stalking predators, but unlike coyotes, bobcats typically do not rely on their sense of smell. Often they approach a distress call based on what they hear & then what they see. Once they lock on to a moving decoy, they typically come in a straight line toward it, never even testing the wind.